High school can be rough. Not only do you need to deal with bullies, preps, adults of all shapes and sizes, but your body is also changing. You’re transforming away from a bright-eyed middle schooler to a hormonal teen who seems to be growing hair in weird places. On your legs… armpits… tail. Wait, tail!? Oh! And let’s not forget how annoying it can be when you accidentally set your algebra homework on fire with your mind! Or how you’re constantly having to sneak out of class when you hear a bank alarm sounding or someone crying out for help. Life as a superheroic teen is hard. Especially in a city that doesn’t appreciate you. Welcome to Belmont High is going to be Fandible’s first Patreon created setting in the next few months! This setting can be incorporated with a number of systems out there that caters to having superpowers! The aim of this game is to play low powered, low resources teenagers who are trying to make a dent in the growing crime populations of their neighborhood – Belmont located in Founders City, RI. Not only are you putting your neck out there every day trying to do the right thing, but you also have to deal with a number of factors that most superheroes don’t! You live in a city that doesn’t like superheroes due to an accident twenty years ago. You have to deal with a school that views all metahuman children as either a threat or annoyance. You need to navigate through the troubles of an inner-city school including gangs who either want to beat you up to prove their strength or want to recruit your to make them stronger. And worse? You have to maintain at least a 2.5 GPA else your Hero’s Learning Permit is gone! 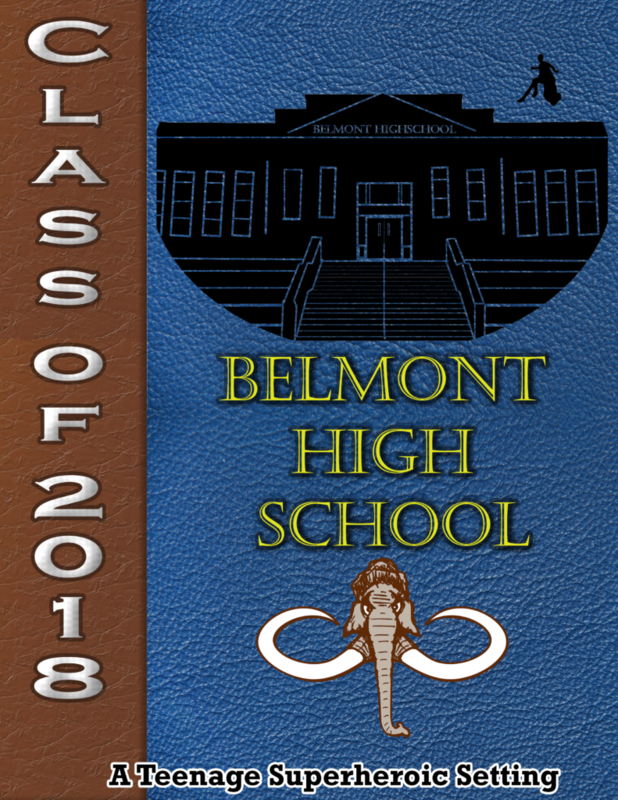 You don’t know how you’re going to survive Belmont High until your graduate. Or… you don’t know how Belmont High is going to survive you. More information will be coming out about the release of Welcome to Belmont High in the coming month! It will be a Patreon Exclusive! Don’t miss out! What sort of superpowered teen would you like to be if you were suffering through high school? Charles Dooly grew up in a military home and thus reflects a military upbringing. His hair is kept short, his tie is kept tight, and his suit is kept pressed. He’s a professional with a face that can remain neutral no matter the circumstance. He’s mastered the power stare and has employed it many times without fail. 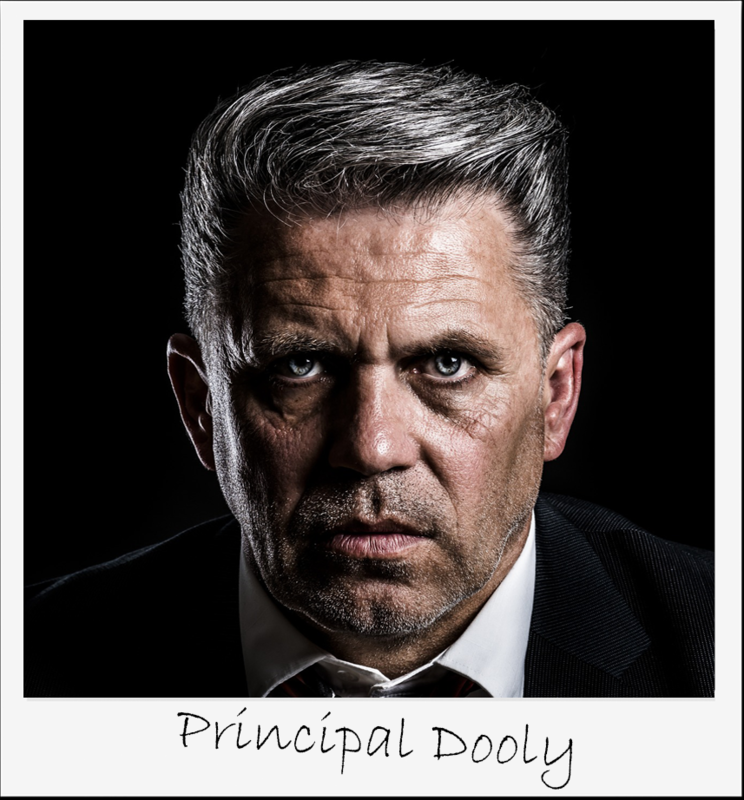 Not a tall man, but still imposing in his own right, Principal Dooly is hardly seen walking the halls of the school. He’s either away on “business” or in his office. Those who do see him are either those he has taken an interest in for punishing and those who he feels a kinship towards. The latter tends to be the Generation H club members and the former tend to be the kids with metahuman abilities. Principal Charles Dooly simply doesn’t care about your emotions. If you messed up, you pay the price. If you broke something, you fix it. If you’re a danger to the other children, you should be removed. He’s logic incarnate with a spark of passion when it comes to dealing with the troublesome meta-humans that pester the normal children. Charles Dooly served in the military and GUARD before becoming a public servant for the community. He first started his teaching career in economics at Westmire Academy until he was given the chance at Vice Principal of the newly finished Baymont High School. After the last principal was caught funneling money to a private account, Mr. Dooly stepped in and helped bring Baymont High School back in working order. Charles Dooly is a strong supporter of Senator Liam Wolf and has taken off work several times to serve the man’s elections. Mr. Dooly was even the first to bring Generation H into the school which has ties to the Humanity Now political group. While some have claimed that Humanity Now is an organization of meta-phobic extremist, Mr. Dooly claims that this is just the media altering what the organization is about. Mr. Dooly believes that anyone with the ability to create poisons from their hands or shoot fire from their eyes should have extra eyes on them. That is unless the community wants to go through another Patron’s Folly. Charles Dooly is a snake. However, one cannot argue with his results. Gang violence is down. The school is doing better academically. And while the number of meta-humans employed by Mister Dooly is abysmally small, he claims that he simply is looking for the ‘best fit for the future of our children’. Yep, going to fund that when it goes live. Inspirations Duke Nuke em High and Canis canum edit? Are we going to get to hear a game in this setting? And yes! Static Shock is a motivation for sure! Fan(dable)tactic! I really like when you all play settings like this.